There's a Fair in the Air! The Minnesota State Fair started this week and the family and I both had a chance to attend on different days. There's thousands and thousands of people all crammed into a small plot of land ready to stand in line, jostle for space, and attempt to get near various booths, exhibits, and food trucks. It's so much fun! 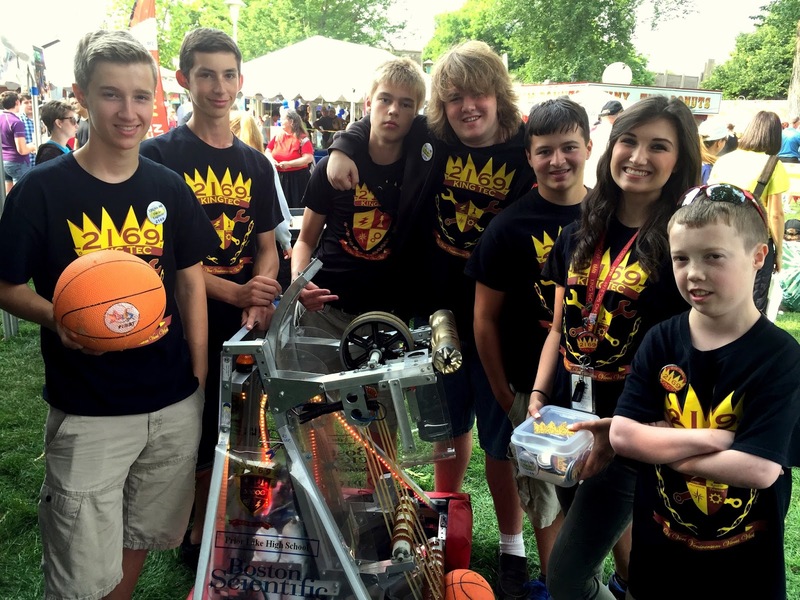 Sheri and the boys went on Thursday to support a booth sponsored by Prior Lake High School Robotics Team #2169 KING TeC. They brought the basketball shooting robot to support the STEM day. A good time was had by all. 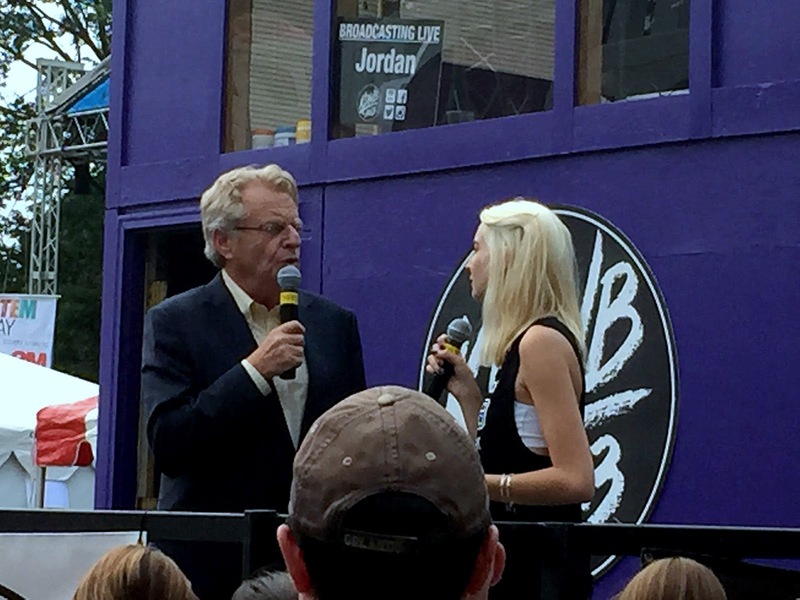 They also had time to rub shoulders with none other than Jerry Springer. Apparently no chairs were thrown during their brief get together which is a bit of a surprise. I went to the fair with my new team at work. It was a celebration of a great FY15 Q4. This group of 30 people currently represents Oracle Direct Mid-Market ERP. And we rock. These are my new work buddies. Erin and I started on the same day in July and Mike started with us a week later. The three of us sit together on an island away from most of the team and have to lean on each other to figure out what the heck we're doing. We also have a tendency to create a little bit of trouble with one another. Some of our group went to the Haunted House. I had never actually entered this attraction before, but had walked by it for many, many years. I was excited to get a taste of fear after wondering about it for all this time. The fear factor ended up being just a bit underwhelming. I did have a bit of a freaky experience the next day when I was walking into Mystic Lake Casino. I felt something fly by real close to my head and suddenly my ear felt wet. I spun around thinking it was a bird and was surprised to see this bat swirling around the air just above me. He eventually landed on the wall. I sat there and watched him for awhile and wondered. I thought bats have radar and he could totally avoided me if he wanted to, so why did he swoop so close to my head? And what did he do that made my ear feel wet? Baby Blue had a real tough week. He got neutered on Wednesday and no matter what we do, he just won't stop licking the scar! It seems like it may be getting infected so he's now taking anti-biotics and we keep experimenting with different ways to keep him from licking himself including this new inflatable he wears around his neck. It doesn't seem to be working. The licking temptation can overcome any obstacle!! Luke and Avery are going to be juniors in high school in a couple of weeks, so it is time for them to start doing college tours. 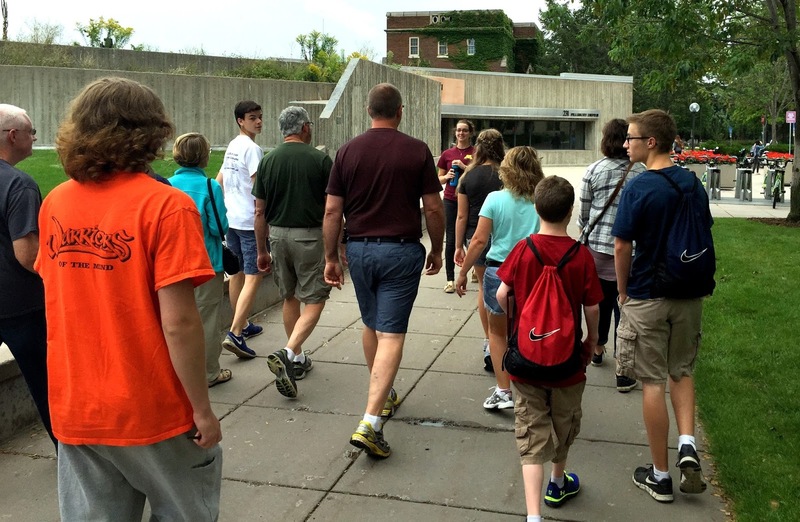 Miss Sheri took them to the University of Minnesota on Friday where they scoped out the campus and learned about how hard it is to get accepted. They're not sure exactly where they want to go or what they want to study yet, but we keep telling them it's time to start thinking about these things. On Friday night, I went to my Fantasy Football Draft. It's my turn to win this year. At least that's what I keep telling them anyways. As always, Steve "Cuds" Cuddihy puts on an incredible draft night party and is the best fantasy football commissioner in the business. Curtis is a great auctioneer for the draft. At least when he keeps his tongue in his mouth, he is. We have 12 teams in the league and I ended up with Russell Wilson, Marshawn Lynch, Joseph Randle, AJ Green, and many other future super-stars. I'm gonna win this year!! 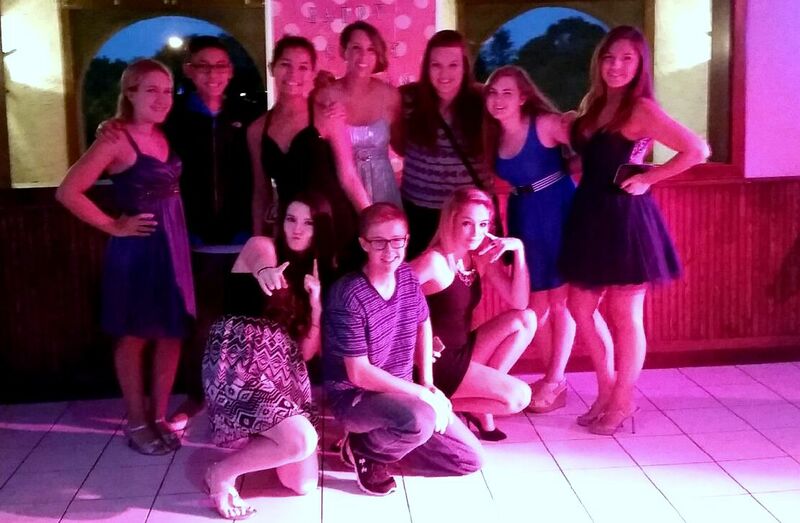 On Saturday night, Luke and Avery drove to St. Paul with some friends to attend a birthday party. Of course, they never tell me anything they do at these parties, but Avery did text me this picture. I think he appreciated the guy to girl ratio in attendance. Last Day at Equus. First Day at Oracle.